New York. The city that never sleeps. The city on the top of everyone’s must see list. It is the cultural capital of “The West”. The city can offer anything you want. You can find people from almost every country in the world, along with cuisine from around the world. It has the shopping, the bars, the theater, the nature, the skyscrapers but many tourists get caught up in Times Square and Wall Street and don’t see a whole lot else. I personally seriously avoid these places as almost no true New Yorker wants to spend their time surrounded by tourists. New York has so much to offer but its up to the traveler to make the most out of the city. Broadway Show – New York has the most iconic theater district in the world and has a show for every audience. Tickets can be steep but it is possible to go to the box office the morning of a show and get rush tickets but only if the show is not sold out! A Broadway show is the experience of a lifetime and I cannot express the talent of the singers, dancers, and actresses on stage! Ellis Island and Statue of Liberty – New York’s Ellis Island was the immigration port for many of the European immigrants that built the city and the country in the 1800s. Records of immigrants can be found here and it’s one of the most historic sites in America. Little Italy- The home of Italian Immigrants that has transformed into a neighborhood filled with restaurants and cafes. Central Park- This huge park in Manhattan is a must see. It has a large lake where some of the luxurious Park Ave buildings can be seen from. The park has many runners, joggers, walkers, and bikers and is a great place to start the day! The entrance on 59th street is usually filled with tourists, so try going North a couple blocks. NYU area and Washington Square Park – Washington square park is a great place to visit, with and has a large triumphal arch dedicated to Washington. NYU is a fun area for young people and has plenty of great nightlife options. Chinatown – A pretty large tourist destination but worth a walk through. During the day, there are live fish markets as well as tourist souvenir stores waiting to rip you off. I would STRONGLY recommend not buying anything here. It is overpriced fakes and often very stressful as many vendors haggle. World Trade Center Memorial- This has been under construction many of the times I have gone, but it is worth visiting. There are two waterfalls downward where the towers stood, and a Church that received serious damage that is still standing. Shopping- New York is a shopping capital, with 7Th avenue nicknamed fashion avenue. I’d suggest avoiding large chain stores that you could just as easily go online to shop at, and search for a store you are really interested in. There are records stores, unique book stores, vintage stores, and specialty cooking stores. Look for something worth shopping for that you can’t find on amazon. Dance Performance – American Ballet Theatre and Alvin Ailey both have schools in Manhattan and routinely hold performances. These are the most elite dancers in the U.S. and are more than worth an evening. Macy’s Thanksgiving Day Parade – If your in town in November, theres’ a chance you will be able to see the Thanksgiving day parade, a parade filled with balloon characters and performances. Italian Food – The Italian immigrants to New York built the city in the 1880s and built the original cuisine of New York. Little Italy still has some classic restaurants, make sure to do some research before choosing one. Ferrara’s – The best bakery in Little Italy. My family has been going to for over 50 years and the bakery has been open since the late 1800s. 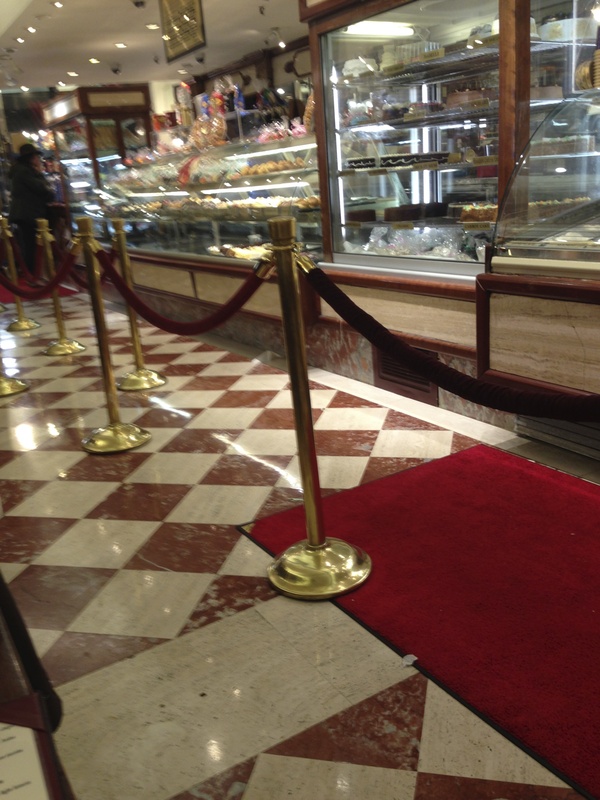 The cannoli’s are too die for and the red and white marble floors will bring you back to the days of the Italian immigrants. Coffee – Stumptown Coffee in Greenwich Village is one of the best roasters. Their coffee can be found in many coffee shops around the city. Another favorite of mine is Birch coffee which serves iced coffee on tap. Sushi- New York has amazing authentic sushi restaurants worth dishing out the money for. Sockerbit – A Scandinavian candy store that offers sweet treats without corn syrup! Brunch – Brunch is a classic and there are plenty of places offering specials. Stroll through the lower east side and choose any number of options offering specials. Nightlife – There are an abundance of nightlife options ranging from the high end expensive night clubs, to wine bars, to Irish pubs. A good bar scene can be found near NYU as well as Soho. The clubs can charge pretty high covers and drinks so be prepared. Taxis: There are few times when I recommend a taxi in New York but there are two major ones, one is when arriving from the airport, if you have luggage it is almost impossible to lug onto public transportation, and the second is if you are lost and fear you may be entering a rougher neighborhood. Cab Drivers shift ends at 4pm, so keep in mind it can be very difficult to grab one at this time. Subway: The subway is the beat way to get around the city, pick up a refillable metrocard and swipe onto the subway for access to all five Boroughs. Walking: If you are from out of town there is one golden rule- Walk fast. Please, please, please do not walk slowly, do not stop and take pictures on the sidewalk, do not look at your phone while walking. New York is a place for fast walkers so you must keep up. English is the official language, but there many different languages spoken throughout the city. There are 5 boroughs of New York City, Manhattan, Brookyln, Staten Island, Queens, and the Bronx. Within each borough, there are many different neighborhoods i.e. 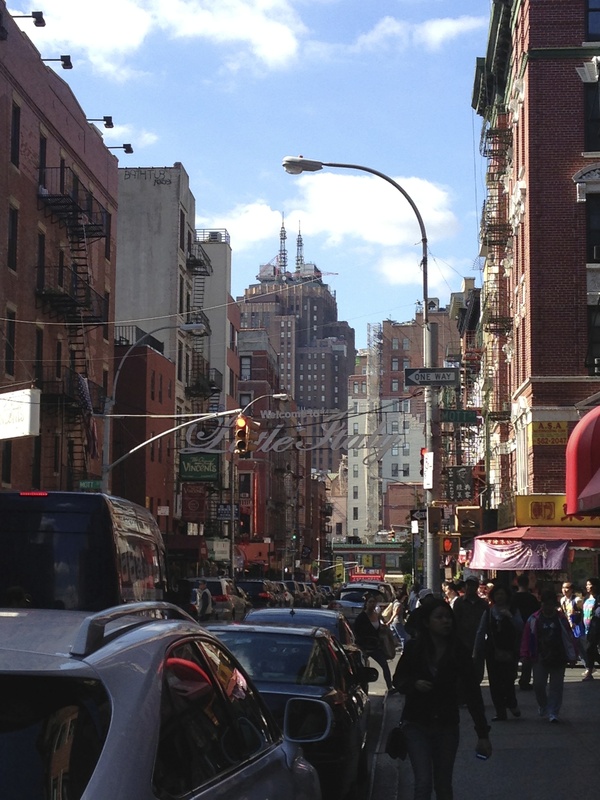 in Manhattan there is Greenwich Village and Little Italy. The major crime in New York is break-ins, which most travelers will not run into. There are some pick-pockets but mainly in places like Times Square. Some neighborhoods are more dangerous than others so research where you are staying before arriving. The city had major crime and prostitution in the 80s and early 90s but has been cleaned up and is overall a very safe place. I left out some of the more touristy destinations such as Times square, Rockefeller center, and the Empire state because they are iconic and maybe valuable to some travelers but they aren’t sites I’d go more than once.